Corner Armoires add a beauty and practicality that is hard to beat to any room. In bedrooms that stand out of the way but are a perfect addition to your decor. Books, mementos and more can be quietly tucked away. 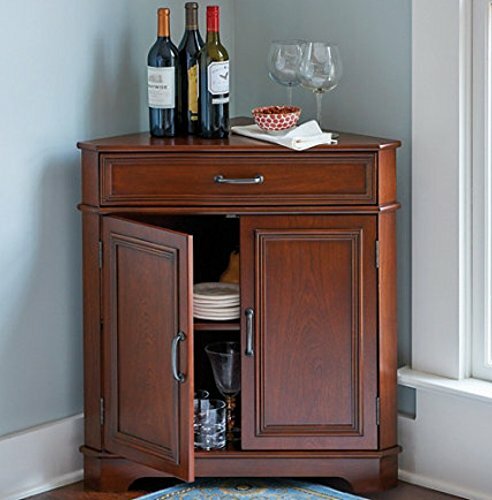 In living rooms, utensils, cutlery and more can be store quietly out the way in your corner. This type of corner cabinet is the kind that is a keepsake that continues to be part of the family, generations in the future and beyond. Please look over our findings. 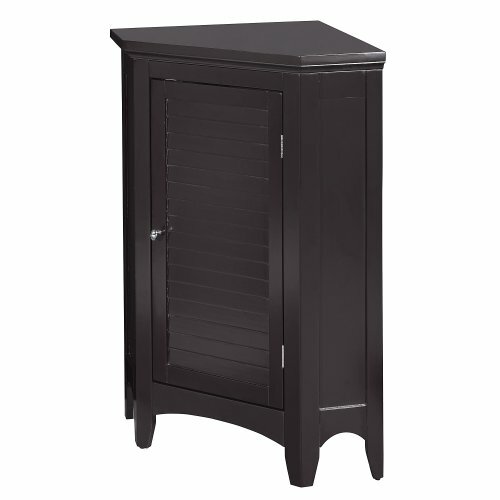 We're sure you will find the right corner armoire to appeal to your style and decor. Space-saving cabinet conceals computer components. Slide-out work surface, keyboard shelf and printer shelf. 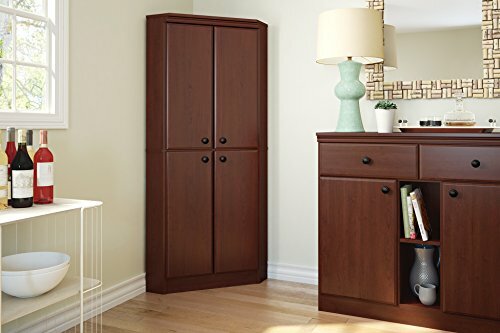 Corner wardrobes and armoires are very easy to match with a lot of other pieces of furniture, exactly due to the fact that they are compact and help you maximize the space of your home. Actually, not only that they are some great, very roomy storage pieces for your home, but they will also add a story-like atmosphere to your home! Corner Wardrobes have a very epic look, no matter in which nook of your room/bedroom you will settle them. Do you remember that wardrobe from The Chronicles of Narnia? A wooden corner wardrobe would look just as magical as that one! But that's not all. If you prefer a more modern, actual design for your furniture, you need to know that corner wardrobe designs are very different, so that you will surely find something suitable for you. How can you know if a wardrobe would fit your room's theme? 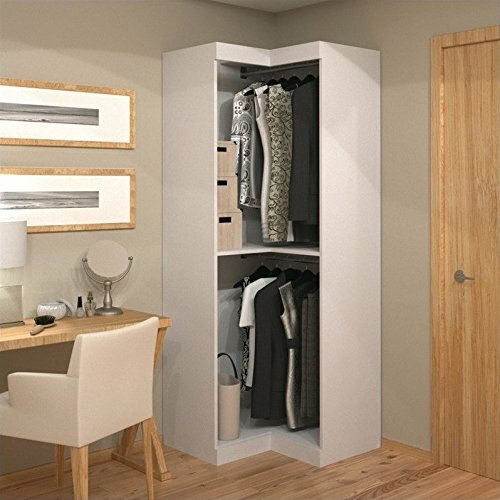 Simple: just scroll over the products from our website's page of corner armoires/wardrobes! With or without legs, with more or less shelves in their interior, covered with transparent glass for exposure or with a wooden door for privacy, corner wardrobes are an exquisite piece for every home, a very wise choice for its multiple roles: saving the space, storing a lot of clothes and, of course, giving the room, the bedroom or even the attic a special vibe, be it classy, vintage, antique or modern! The armoire is one of the most versatile pieces of furniture out there, and is available in a wide variety of options. 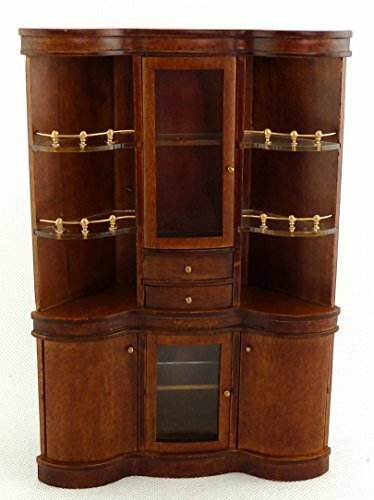 There are the small corner armoire and large corner armoires which provide a variety of options for all needs. There are wardrobe armoires used solely as wardrobes, while others are entertainment centers or work stations. Armoires are also available in a wide variety of sizes and styles—from their shape to their material and coloring. However, there are some problems with traditional armoires in many homes, but a new innovation has come along to fix them: the versatile corner armoire. Because armoires are traditionally very large, heavy pieces of furniture, they simply do not work in some homes, especially apartments and smaller houses. They just take up too much space. Before the modern armoire, after all, clothes were stored in separate rooms called “wardrobes,” which is where we get the modern term, sometimes used interchangeably with “armoire” (though there are some differences to note). Not everyone has the space for something as bulky as an armoire—but to shrink an armoire down to too small a size is to limit its functionality. For those who use their armoires to store clothes, for example, cutting down the size also cuts down the storage capacity. 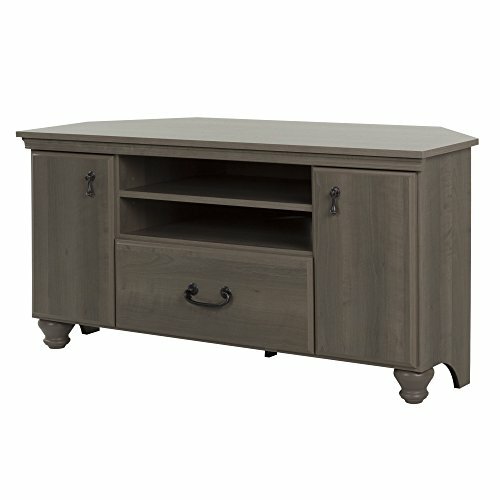 For TV and desk armoires, shrinking the size prevents users from enjoying their large televisions or creating a comfortable, spacious work area. For people who really like armoires, but don't have the space for a fully sized one, the answer is not simply getting a smaller armoire. Instead, you should look for a conscious design choice that uses space better: the corner armoire. 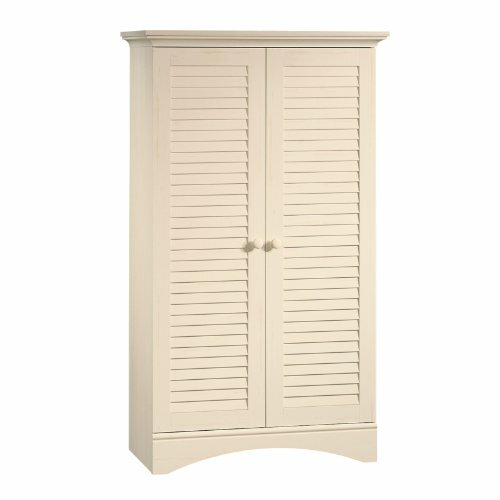 What is a Corner Armoire? The definition of a corner armoire is simple: an armoire that fits into the corner and sits against two walls at the point where they meet, instead of just along a single wall. However simple it may seem, though, this design choice is revolutionary. Considering the history of the armoire—rising from the luxury of kings' and dukes' full-room wardrobes, and functioning originally as a battle chest for storing armor and weapons as well as clothing—the corner armoire, though a big move forward, seems natural. From oversized rooms full with clothing, we got something more reasonably sized. That size, though, still takes up too much space along one wall in many homes, especially in the bedroom, where many people choose to keep their armoires. However, for a long time no one could figure out how to make the armoire work in smaller spaces without diminishing its storage capacity. 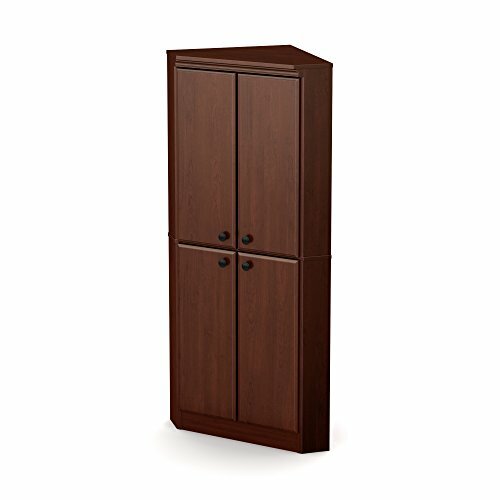 In addition to other relatively recent innovations like the armoire TV cabinet, we got the corner TV armoire.This new design makes owning an armoire even better, because it is inherently space saving without diminishing capacity.The corner armoire, like all innovative design choices, presents a solution to a problem. It allows people with smaller spaces—or even those who have larger spaces, but want to use them more efficiently, or save room for other things such as a king-sized bed, art on the walls, or something else—to get all the benefits of an armoire. 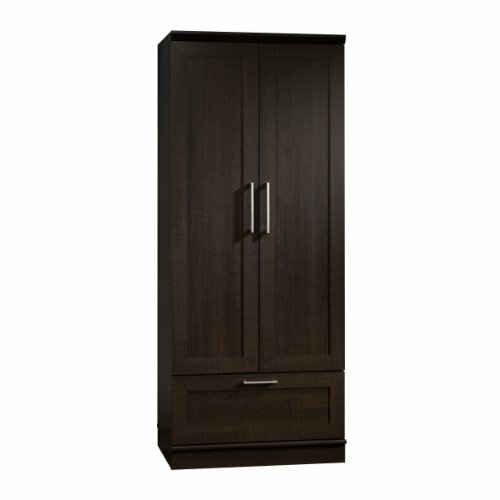 Will a Corner Armoire enhance my space? 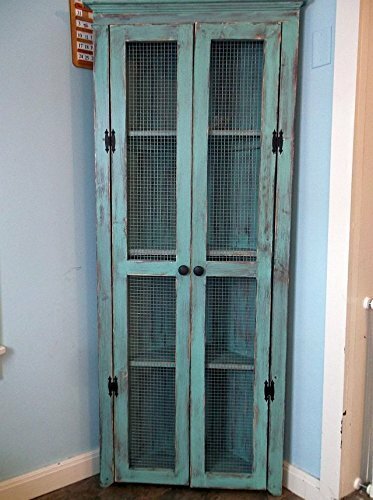 Many people don't just use armoires for storage, but as décor objects. 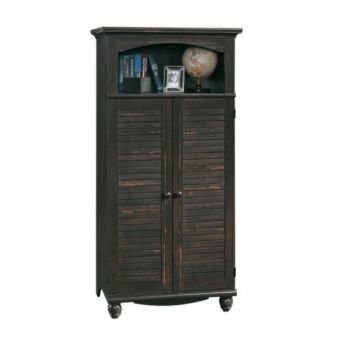 High-quality armoires are truly beautiful pieces of furniture, and there is a huge variety of styles available, from very modernist designs with simple, sharp lines to intricate pieces of functional art with an old-world aesthetic. The good news is that corner armoires are objectively just as beautiful as traditional armoires, and that they do come in an equally wide variety of styles. In fact, I find corner armoires to be even more beautiful. The way they are designed to fit seamlessly into the corner creates more aesthetic contrast than the wide, flat areas found on many traditional armoires. Whereas traditional armoires, while very beautiful, often have a very boxy shape, corner armoires often flow better with the existing design patterns in a room—but can still be a statement piece as well. Putting a corner armoire in your bedroom, your family room, or your home office can greatly improve not only the look of the room, but its functionality as well. The corner design is in many ways inherently more efficient than the box design. In addition to saving space in the room overall by utilizing a space that often goes to waste (the corner), it often helps you work more quickly. Think about it: a TV in the corner armoire setting will make for easier access and viewing. 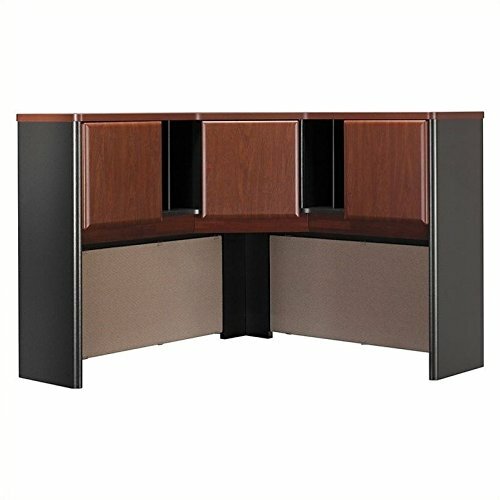 A corner armoire desk workstation will allow you to swivel with ease to view multiple monitors, look at papers or books stored at a different part of the desk, or grab whatever paperwork or reference you need to get the job done. The biggest advantages may come with a corner clothes armoire in the bedroom, though. The space a corner armoire in the bedroom saves makes the whole room lighter and airier, meaning that you'll have an easier and more enjoyable time with the most important part of your day: getting out of bed to face it. 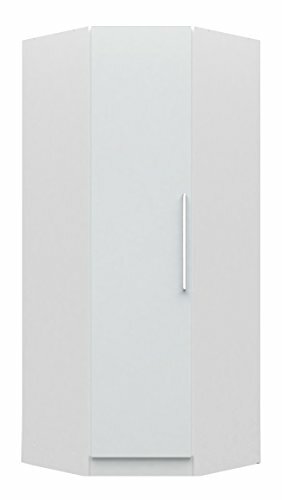 The corner armoire design also makes it easier to see all of your clothes at once, when the armoire is fully open. In addition, elements like drawers and mirrors can be incorporated to even greater effect than in traditional armoires. One of the best things about the corner armoire, in my humble opinion, is how securely it fastens to the wall. Virtually all armoires made now can mount to the wall—and if you have an older model, you should consider making some improvements and adjustments to mount that to the wall, too. This is because a falling armoire is at best terrible for your property, and at worst can even be life-threatening. Armoires are so large and heavy, they are quite dangerous while falling. The corner armoire, because of its design, can be made much more secure than a traditional armoire. This is no reason, of course, to be reckless, but it will certainly bring you peace of mind, especially if you have small children who you worry about with the armoire around. Mounting your corner armoire to the wall is just as simple as doing so with a traditional one. Simply attach the brackets of the mounting kit to the armoire and screw them into the wall. Be sure to screw them into a stud or beam, and not simply into drywall or plaster, which can crack and degrade, causing the armoire to fall. No one wants that! The corner armoire is a truly beautiful and powerful piece of furniture, but that does not mean that every corner armoire on the market is right for you. Because an armoire is a solidly built, quality piece of furniture that is meant to last a long time and serve a wide variety of functions, you need to be sure while shopping for your armoire that you get something you're happy with.